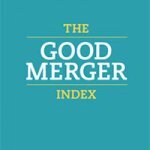 The Good Merger Index is our annual survey of consolidation activity in the not-for-profit sector, the first of its kind. It is intended both to help individual organisations understand more about what can be a sensitive issue and to inform debate around mergers and partnerships sector-wide. Our fifth edition of the Good Merger Index finds 81 mergers in the year of 2017/18, involving 154 charities and social enterprises, though this is still in a sector with 168,000 registered charities. It features case studies, looks at two ‘hotspots’ of activity – medical and infrastructure organisations – and concludes with suggestions for how the sector can increase and improve partnership activity. This Good Merger Index finds that charity mergers overall remain rare, with 142 organisations undertaking 70 mergers in 2016/17. However, it also uncovers strong examples of ‘hotspots’ in the sector responding to the need for change – federations, supported housing providers and mental health charities – and highlights two emerging developments in the environment for charity mergers. The second edition looks at not-for-profit merger trends from May 2014 to April 2015, with a review of 129 charities undertaking 61 mergers in the period. We also begin tracking financial drivers behind charity mergers, ascertaining that a majority of the smaller ‘transferor’ charities were in deficit by the time they sought merger, and in a special feature look at 8 housing association mergers and draw comparison with practice in the charity sector. Our third Index covers 116 organisations undertaking 54 mergers between May 2015 to April 2016. In a special feature, we also return to the top 10 largest mergers we highlighted in the first Index (2013/14) for a look at their early progress, and in response to the static level of merger activity the report identifies, we also explore in depth the barriers to merger in the not-for-profit sector and propose possible policy solutions to them. 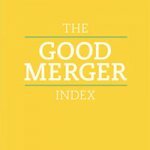 In this first edition of the Good Merger Index, we provide a snapshot of consolidation trends from January 2013 to April 2014, with a review of 189 organisations undertaking mergers in that period. The report touches on sensitivities around language and branding, and a framework is included describing different types of not-for-profit deal: Merger, Takeover, Subsidiary Model, Group Structure and Exchange of Assets/Services.